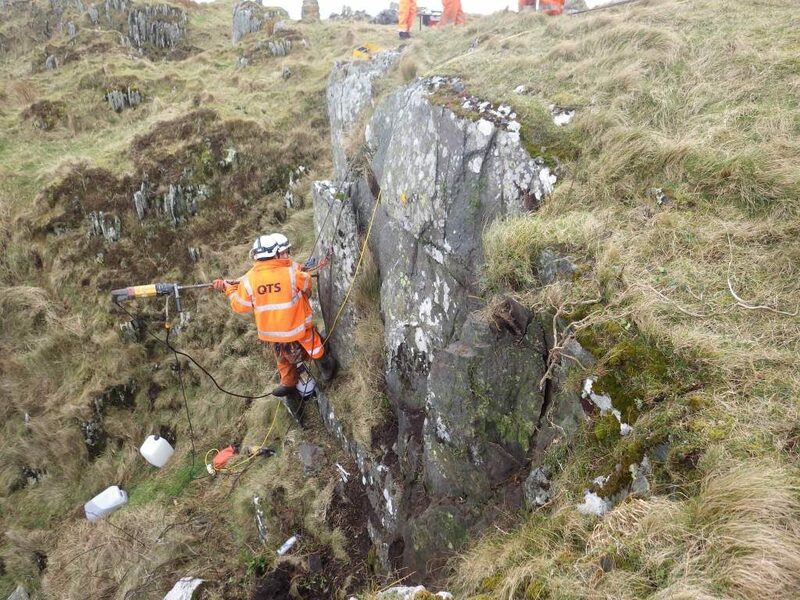 Find out how our conservation team carry out work preventing rockfalls at historic sites Castle Sween and St Cormac’s Cave, Eilean Mor on the West Coast. We like a joke about the weather here in Scotland, but the whims of Mother Nature can present quite a challenge when looking after historic places. 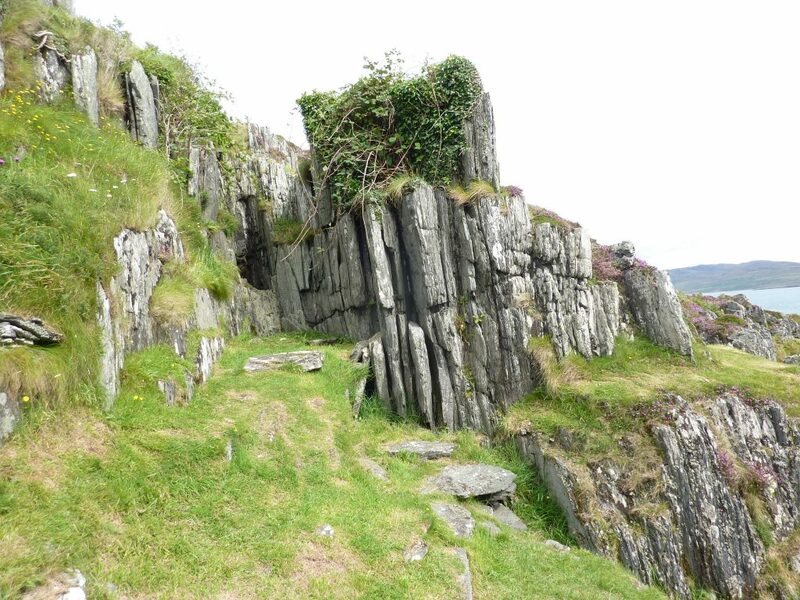 We spoke to our conservation colleagues about preventing rockfalls at historic sites Castle Sween and St Cormac’s Cave. Rock Anchoring works at Eilean Mor. Photo by Fairhurst. We carry out regular assessments of over 300 historic places in our care. As part of this, we noticed destabilised rock at Castle Sween and on Eilean Mor. 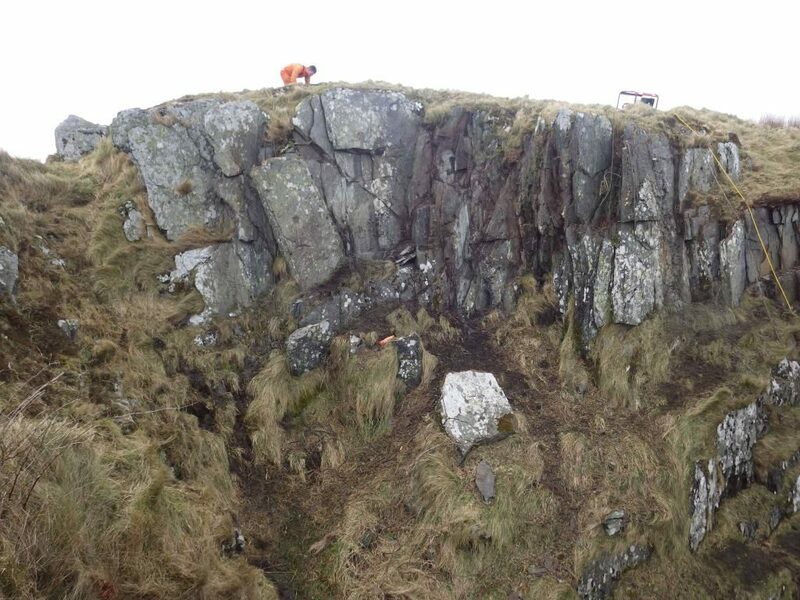 We knew this would increase the likelihood of rockfalls, so we intervened to make these sites safer. 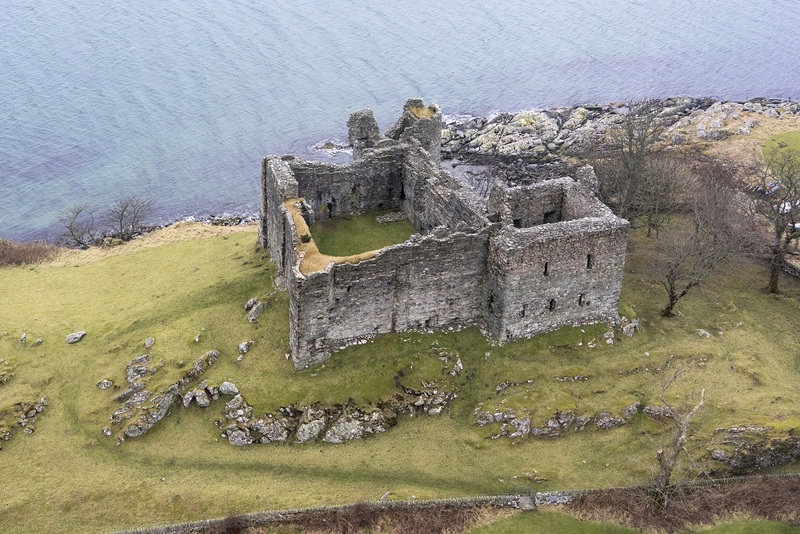 Castle Sween is believed to be the earliest surviving stone castle on the Scottish Mainland. The castle and the sea loch it overlooks were both named after Suibhne. This chieftain of Irish descent was an ancestor of the MacSweens, who first built the castle in the early 1100s. It sits on a rocky ridge on the eastern shore of the loch, looking out towards Jura. The castle was occupied for 500 years. During that time it underwent lots of changes. The island of Eilean Mor is about 5 miles to the south west of Castle Sween, near where Loch Sween meets the Sound of Jura. Only accessible by private boat, it is definitely one of our more remote properties. The island has a long religious history. According to tradition, St Cormac used the cave there as a hermitage. It later became a popular destination for other pilgrims. Two 8th Century crosses carved on the internal walls of the cave stand as testament to its long religious significance. 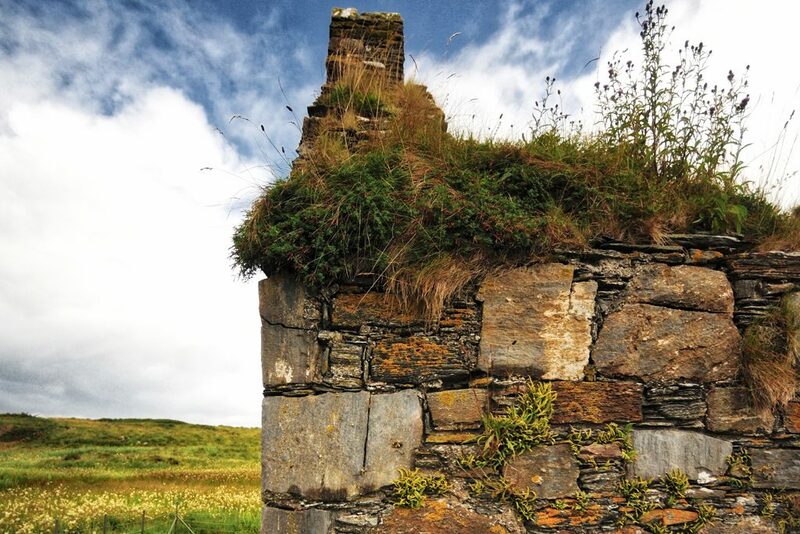 The island is also home to St Cormac’s Chapel, built in the early 13th Century, and the remains of St Cormac’s Cross, a 10th century free-standing stone cross. A later 14th Century cross also once stood at the island’s highest point, though this has now been replaced with a replica. The original is held by the National Museum of Scotland. Long before either monument existed, movement of the earth’s plates had left behind rock with its grain running vertically. You can see this in the picture of St Cormac’s Cave above. As the structure binding the sheets of rock together is eroded by time and the elements, the rock can ‘delaminate’, or divide into layers. To visualise this, imagine trying to stand a deck of playing cards on end and then letting go. The outer cards would likely start to fall away as soon as you do. The same thing would happen to the exposed rock face, albeit at a much slower rate. Rock Drilling at St Cormac’s Cave. Photo by Fairhurst. We called in specialist engineers to apply their expertise to securing the rock. Companies used to dealing with this sort of issue usually work on a much larger scale, without the restrictions brought about when working on historic monuments. Typically, loose rocks would simply be removed. However, for our historic properties we aim to remove as little material as possible, so we had to investigate alternatives. This provided the unique challenge of carrying out full on engineering in a small scale and sensitive manner. We put metal rods through the rocks to anchor them in place. This was done using portable rock drills to bore holes for the rods to be fixed into. The choice of equipment was particularly vital at Eilean Mor, where everything had to be transported by boat. 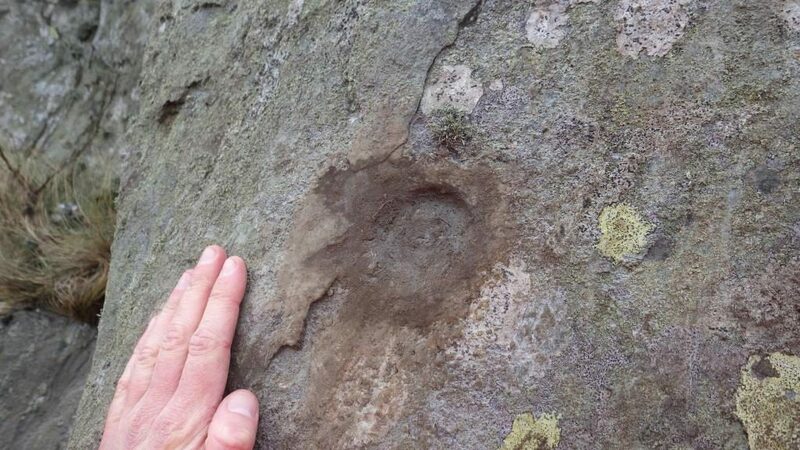 Here the metal inserts were capped with resin and blended into the surrounding rock face using rock dust. From a distance, this means the appearance of this religiously significant site appears unaffected. 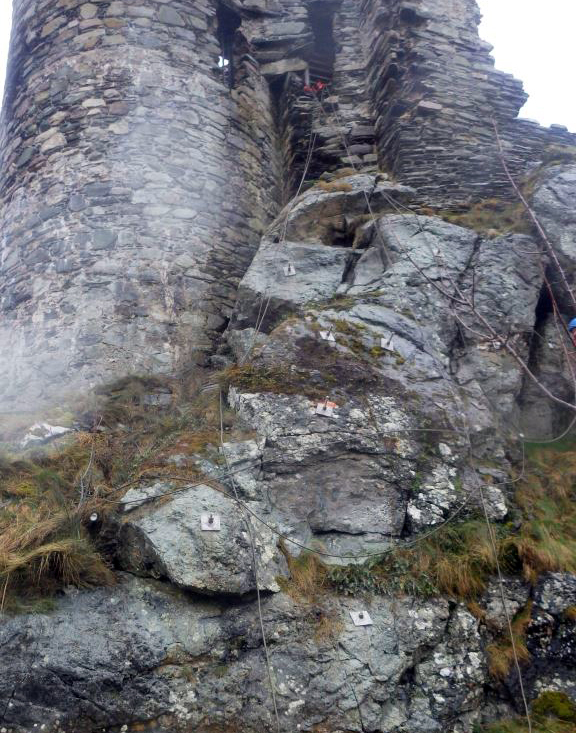 At Castle Sween, where the rock face is less prominent, the rods and anchor plates remain visible – a clear record of our intervention to conserve the property. The works were carried out in March 2017, making the most of a calm spell in the sometimes turbulent Western Isles weather. 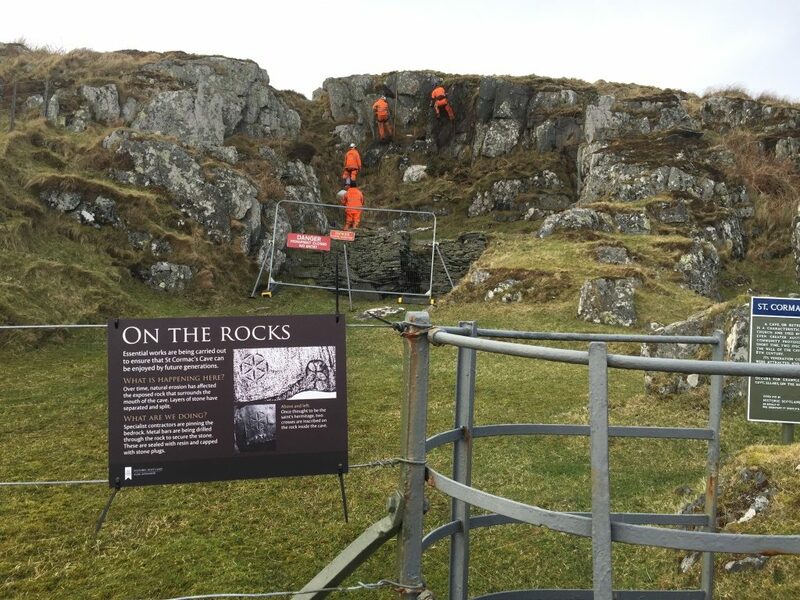 This meant we were able to re-open in time for the summer visitor season, ensuring the safety of our staff and visitors as well as preserving elements of Scotland’s national heritage. Striking geology and rock formations are a feature of many of our Historic Scotland sites. Why not share your favourites with us on Twitter @HistEnvScot or @welovehistory? 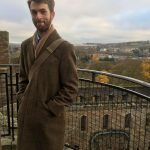 I’m a member but want to know if you need volunteers in the Edinburgh area.